Can We Talk Seriously About the Obsolescence of Pourovers? 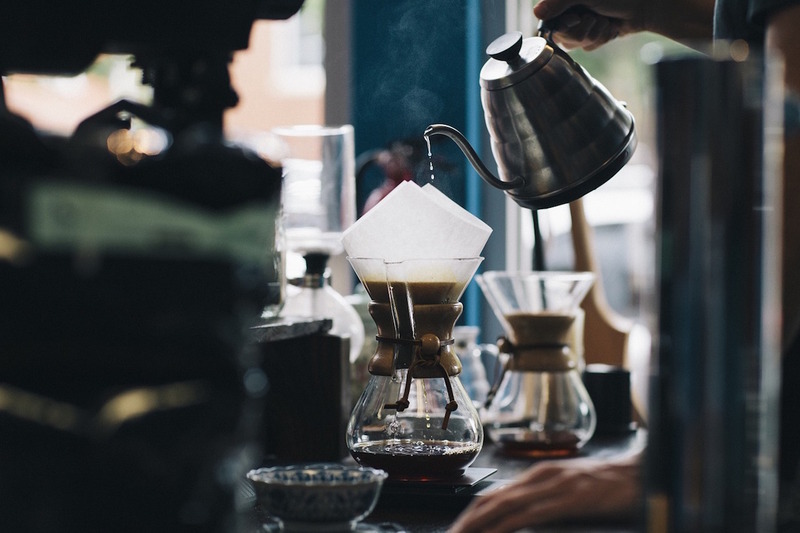 In the piece, sources suggest various ways in which coffee machinery has evolved to replicate popular manual pourover brewing methods and recipes, achieving improved consistency, efficiency and time savings. These things are actually true. For many people over the past decade or so, the first vision of a barista holding a gooseneck kettle over a simple pourover cone lined with paper and filled with a fragrant bed of fresh grounds was a revelation, a “new” way for coffee preparation that involved advanced skill and artistry while the industry assured consumers that this was the only true way to achieve peak quality. 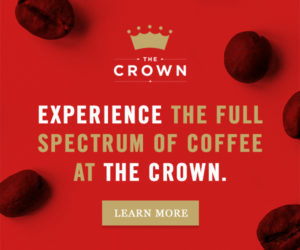 Add that to the parallel popularity of single-origin offerings, and you create a cutting counterpoint to the quick-serve model of the big chains: One coffee, one cup, handled with care, just for you. It was a concept that resonated deeply enough that the pourover truly did become for a time the symbolic indicator, at least for a certain subset of consumers, that a coffee shop took coffee quality seriously. Commercial equipment manufacturers took notice and began engineering fantastic machines with the goal of automating the precious pourover yet with greater efficiency, offering the same or better quality in a repeatable way while freeing up baristas’ limbs and minds in the process. Thus, the narrative has switched. There’s one quote in the WSJ piece that jumps out as particularly reflective of the specialty coffee retail industry’s current predicament regarding high-end filter coffee brewing equipment selection. “We realized that a lot of customers loved getting a cup brewed for them, but in today’s day and age they’re not willing to wait five to seven minutes to get it,” Intelligentsia Chief Executive James McLaughlin told the WSJ. Today’s conversation about the place of the pourover is not about quality or repeatability or obsolescence; it’s chiefly about efficiency. More specifically, it’s about how to maintain the perception of uniqueness and individuality that the pourover symbolizes among consumers while still shuffling them in and out as quickly as possible. I’m pretty serious about my coffee, having roasted my own bean for almost 20 years. I have pro level espresso machines and grinders at home. But I skipped the entire “pourover” phenomenon. Oh sure, I tried it, but it’s not about coffee so much as about theatre. As we know from a certain mermaid, lots of people say they like coffee but apparently they don’t. They like candy or coal in a cup or an “ambiance”. That’s fine. But please don’t confuse it with good coffee. You don’t need a pourover artist to make good drip coffee. We buy green, roast, and grind, too, and the pourover methods is our favorite. We differ a bit from your tastes as neither of us prefer espresso to coffee. Pourovers, like most French press, cool to quickly. We’ve been searching for a machine to meet the quality of our coffee and recently purchased a pourover machine that is a lot like an autodrip, but the drip portion pours like a pourover and can manually, briefly, “steep” the grounds. It then pours over into an insulated carafe talking about 4-6 minutes to produce four good mugs (10 cups) while we fix breakfast. I’ve been making my coffee pour over nearly 40 years. Not inclined to stop anytime soon. Drink what you like and brew what you like, people. Its not a contest and no one respects lemmings. I don’t think this should be a conversation “About the Obsolescence of Pourovers?” but rather coffee companies selling out. The slow-bar by nature is nit meant to serve the mass hurds of people in a hurry looking for a quick caffeine fix. 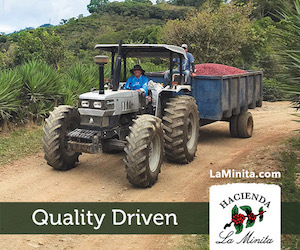 Rather it was to meant to celebrate the artisan barista, the unique micro lot of the origin of the coffee, and the complex flavor profile of the coffee. The slow-bar is meant to parralle a fine wine bar, serving as a a place of to honor something truly special and amazing. Any company that once served lighter and brighter fruit or floral forward coffees on the pourover bar, but switched to automatic machines has sold out. They want to cash and cater to the expectations the large correperate chain coffee companies have set. This would be like a fine wine bar ditching out on the public tastings and education and just serving the world best wines through a drive-thru window like a cheap liquor shop. Bazaarly inconsistent and counterproductive business stratiage. Like people who don’t understand or respect the drinks they serve. Trying to bring the high-end coffee into the fast-food like market is a not a symbol of the death of a brewing method, but rather the sign of a company that sold out to join the faceless chain coffee companies. This move is a sign of people who are grossly incompant coffee “professionals”. … the idea of bringing bring coffe education or celebration of the barista or flavor notes into a line of people in a hurry being served by a automatic machine, as seggested in this article, is a complete joke. Such people don’t care and nobody would take the push-button barista seriously. Once a automatic machine touches it, it’s “just coffee” a gross commodity. Are companies selling out and ditching the pourover bars? Yes, but it’s beau really they are selling out and buying into a radically differnat Coffee-Culture than the place that they started. Brett, I think you have it backwards. Pour over methods were never intended for a busy commercial environment, rather a simple method designed for use at home (My parents were brewing coffee in Chemex in the 1950s). At best, pour over presented a nice way of showcasing samples of coffees offered for retail sale in specialty shops. The trend towards pour over and slow bars in coffee shops in the mid 2000’s was implemented to create a theatrical presentation allowing for coffee to be sold for higher prices than batch brewed coffees even though the method is slow and less consistent than batch. I have been in the specialty coffee industry for close to 20 years and truly believe that the pour over bar has been one of the bigger mistakes made since the “third wave” movement took hold. 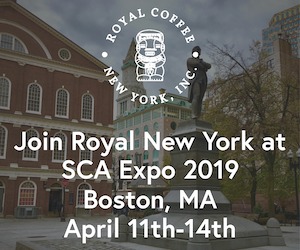 I know that many other knowledgeable veterans in our industry felt the same way but chose to follow the trend for the sake of hopeful profits even though the quality of a properly executed batch brewed coffee is hard to beat in a shop environment. That was the real “sell out”. I would actually make a wrong argument against batch brewed coffee, as I believe it’s cussing the death of the coffee industry. To address some of the issues you brought up… I agree with you to a point regarding the theatrics on the slow bar and using the slow bar to drive up prices and profits. HOWEVER this agreement only applies to medium and dark roast flavor profiles, as they can not be improved on via pouring technique. To do all kinds of fancy theatrical pouring methods and see no improvement in the cup characteristics or flavor profile is not only vanity, but CHEATING THE PUBLIC! When it comes to lighter and brighter fruit and floral forward coffee, HOWEVER, in SO-Espresso temp and pressure Profiling, pour techniques, filter Profiling, and brewing method Profiling… the lighter and brighter coffees are greatly effected by them. Noticeable changes to the flavor profile can be made. The end result is a premium gourmet product worth paying the extra money for. In a similar way, I would argue that putting lighter and brighter in the batch brewing device is also CHEATING THE PUBLIC! This is a bit like buying GRAD A steak and cooking in a fast-food way, yet changing a premium price for it as if it’s a gourmet product. Souring high end Coffee is not good enough, it needs advanced pro roast profiles and brewing profiles in order to truly me a premium product worth paying the extra money for. In terms of batch brewing coffee… it’s a sign and symbol of fast-food crappy coffee… to top higher end Coffee it in is like flushing beans down the toilet. It also speak ill of the nature of the barista and nature of the Coffeehouse, as again it speaks loud and clear that this is fast-food style Coffeehouse… disgusting and disgraceful… feeding into the sickness of our culture rather than offering a cure. While I am find with others putting medium and dark roasted coffee in the batch brewing devices, I would much rather feed that to farm than have to drink it. Why not just go to Dunkin’ Donuts or 7-11… horrifying examples of Coffee culture. That fast that western culture is fixated on fast-food and the coffee industry stuck here is a sign that we are in a poor state and an ill culture over all. Brett, this is actually innresponse to your second post below, but there is no reply button under that one. Yourpoints about the ideal “place” the hand pourover could, and probably should, occupy in a retail establishment are valid, to an extent. I know of one shop which consistently presents superior single origins, each roasted to a profile that brings out the best flavour components of THAT coffee, then will, on order, hand brew in the Chemex. Over several years, I’ve had a few dozen of their offerings. EVERY ONE was brewed, by hand, to perfection, and fairly quickly (though when I go there, I do not mind the wait, because I KNOW what I am going to get… a vERY memorable cup, made in front of me, and with MY name on the large ceramic mug they hand across the bar to me. Yes, they are rather dear. Sometimes I buy good steak, others, hamburg. Their espressos are equally well done, and often they will have the same single origin available both methods, which works because each is roasted specifically for the method by which it will be brewed. It is fascinating to taste the same bean hand brewed on the pour bar and chase it with a doulbe ristretto of the same origin. I’ve never been anywhere else that has so perfected the pourover……. they ARE an anomaly. They do it not for the “higher profit”, but to treat we who darken their door with the best product possible. Now, onto the disparaging remarks you make concerning batch brewed drip….. I hold that you are way of base on that score. Some customers only want a fast cup, and some of those same will come in, linger long, pay the premium, and get the pourover. Depends on that their day holds for them. Myself, I do events on an occasionial basis… a few regular annual events, then weddings, other celebrations, as they present. For the larger events, my favourite is an annual six day affair, bringing close to a thousand attendees for the time. I bring my own roasters, green stocks, and a pair of Curtis D 500 machines and a couple cases of the airpots. Each day we have two different high quality single origins, each roasted to its best profile, rested one or two days (I roast every other day, for the next two days’ needs). I try and have very different styles on the bar at any one time. A dozen great coffees through the week. I ALWAYS get many guests who approach me and tell me, excitedly, “I’ve nevr been able to drink coffee black, but, on the suggestion of one of the servers, I dedided to try yours black…. now I DON”T WANT anything in it, I love it just the way it is”. Or, even more astonishhg, quite a number let me know that they never liked coffee at all, but their friend/husband/significant whoever, pressured them a bit, “hey tryi this its really good….” and I was amazed, because now I LIKE coffee.. I;ve tried quite a few of yours, and they are all wonderful.” Or, the gent who KNOWS coffee pretty well, lives in a well known university city not too far away, and which city has what is generally held to be a “cutting edge coffee culture”…… and he’s tried them all in his city. He contacted me after the event to let me know… he’d tried all twelve of the single origins we had on the bar that week, and EVERY ONE OF THEM was much better than anything he’s yet had in his home city… with the alledgedly great coffee culture. So, no, using a batch brewer is NOT “cheating the public” at all. I take care to roast each coffee well for the batch brew method, and I then take care to dial in the dose and grind, and we carefully weigh each new load of beans, grind just before brew, and all the rest. We bring plenty of fruit and flower forward coffees, as well as some rock solid favourites, and some “oddball”, like Kenya estate, a Red Borbón from Rwanda, a Pacas from Honduras, a Cup of Excellence Pacamara from El Salvador…… Yrgacheffe Natural, Brasil honey, none of them “rack grade” bulk coffees. No, we were not “cheating the public”, we chose to offer the best possible products throughout the week, and I can honestly say I’ve paid big bucks for lots of rather dear coffee from “real shops” that was nowhere near our poorest, as tasted in the cup. As ever, “it ain’t the arrow, its the indian”. KNOW your tools, KNOW your stocks, and present the best possible. I knoiw, for the week we were at that event, no one could find a better cup for the measly buck and a half we asked for our 12 ounce paper cups full of the best we could put in them. Batch brewed coffee CAN be wonderful. Even better than some pourovers some of the time in some places… I’ve had some I could not drink, resorting to assaulting some tree on the way out of the shop which prepared and sold it. First, I appreciate the fact that we can find points of agreement. At the same time in understand you point of view on the issues you raised. Never the less I disagree with you. 1) You comments on serving the needs of different costumers are not logical. It was be as if a wine bar took the position of wanting o make money off of binge drinking college students. “Well some costumers like the cheaper sweet dessert drinks to get drunk on, so let’s meet their need to make money on that.” … here I am suggesting that drinking coffee on the run to get your caffeine fix is abuse of the substance for a drug fix. Coffeehouses that make their money on that “social need” are drug deals in my option, just like a wine bar that caters to binge drink college students to cash in. I for one could never imagine cashing in on this social sickness of needing a caffeine fix on the run. The nature of Coffee is to produce a culture that promotes neighborhood community, simulates intellectual dialog and creativity, and drives us to social responsibility. To use Coffee as a drug is a GROSS abuse! 2) Regarding your comments on batch brewing the lighter and brighter coffees, I would suggest that if flavor profile can be developed through advanced manually brew profiles, IT MUSST BE! For sure one could take a lighter and brighter coffee, pull in on a fixed profile espresso machine, and the end result is still good. HOWEVER, if the flavor profile can be developed using advanced temperature and pressure profiles, WE MUST push to get the most out of that Coffee. Settling for it taste good is never good enough, as we MUST press on to make it taste it’s BEST. If we do not offer the best possible brewing method for that Coffee, we cheat the public by changing them a premium price for something that is not a premium product. Here I am suggesting that to not prepare the coffee using the best possible brewing method and brewing Profile is ABUSE of the Coffee. 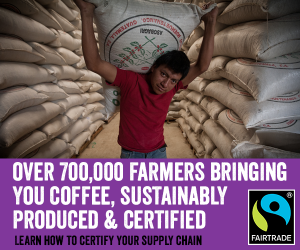 Likewise, to not offer the education on such high end coffees, is cheating the public. It would like a wine bar that sold the worlds best wines, but never educated the public on why this is the case. Such premium products should always include the education, when it is not offered we cheat the public. 3) Concerning your comment about liking a steak sometimes and liking a humbugger other times.. would be like saying sometimes you like amazing high end wine and other times you just want the wine to get drunk on. I for one am not that flexible, I always want to premium product and am never satisfied with anything but Grade A. So I am not disagreeing with you regarding the fact that some costumers only one a caffeine fix on the run, that lighter and brighter can taste good in batch brew, or that some people can switch between high end steaks and low grade hamburgers. All of this is true… HOWEVER I have my reasons for NEVER going there. Well said and on point!! I have been to Norway and Hong Kong recently and their speciality coffee shops are pushing boundaries on Pour Overs. Elegance, delicacies, technicality and bringing respect to the beans and thereby sticking to what Pour Overs are about. The problem in the USA is people tend to have less patience and want a quick fix and want their coffees right now. On the other hand, it’s funny that some of these same people wouldn’t mind sitting in a nice restaurant and sipping a fine wine and showing all the patience they have. Some things are worth waiting for, handling in a special way, and treating with respect, premium and super-premium coffee is such a thing. Once we start brewing and servicing it like common Coffee, it stops being being a gourmet product. If we served and drank premium and super-premium wine and whiskies like the way other do to get drunk… those wines and whcikies lose their value. The problem is In the American Coffee-Culture which sees all Coffee a fast-food product primarily for meeting our caffeine fix needs. Some coffees are just not that… so we need to adjust. Well said again. You and I share same passion and vision and anger about people abusing the pour over scene. Ninth Street Espresso: open since 2001, zero pour-overs served.